Could you design an app or a website? 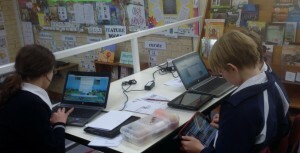 Your challenge is to produce an app designed teach another person about a topic for which are an ‘expert’. You might select a topic that you have inquired into this year at school or from a previous year’s unit of inquiry. Students had their first information session today about the upcoming day. In one week we will be finalizing our topics and beginning to gather information for our apps. Students have been assigned the following task. What topic or subject matter are you going to choose to create your first app? Consider what makes a good information app? What would you consider to be the most important information to include? It is seems that “the best day ever” is how the students viewed the day. See our published apps on PLANET BLIPPIT. It was a challenging and exciting day. 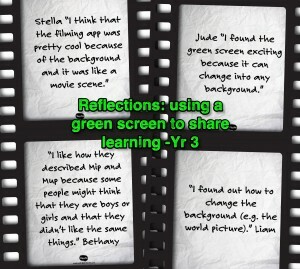 Looking forward to the students sharing their knowledge with others. Would you like to create your own app? This is one for the JS library. NB This is now not active as of March 2015. 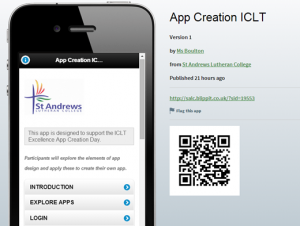 View video below for the content of any teacher created app. 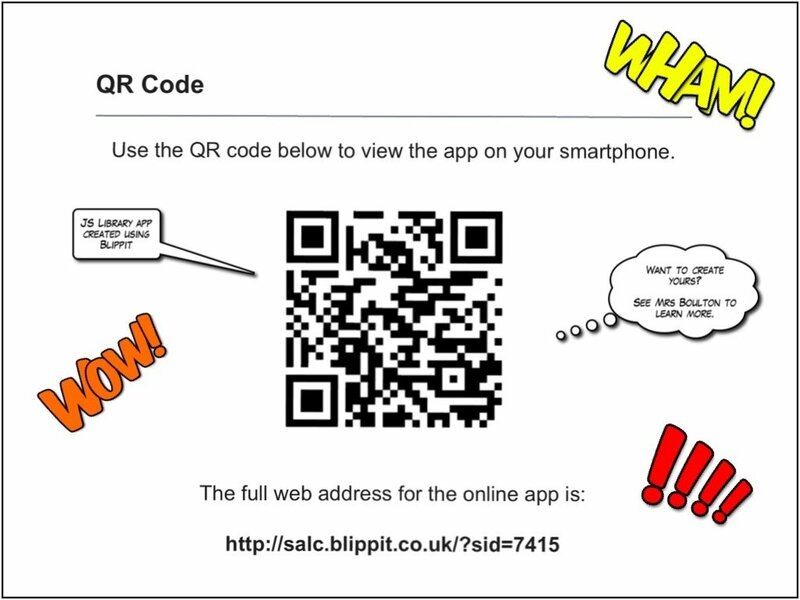 Scan the QR code or go directly to the web address. See me to for your school account and start creating. Junior School teachers are currently participating in the PYP Workshop – Transdisciplinary Learning. The Specialist teachers were to review the final session for Day1. The Transdiciplinary Learning blog for St Andrews is here. FLIPPING THE TEACHERS AS WELL! In my twitter feed this morning, I came across this tweet about flipped learning for professional learning. This has great potential but obviously required innovative thinking and ability to adapt. I believe that this concept would be embraced by teachers! Do you like to keep up with what others are currently reading? Do you get excited about sharing what you read with others? 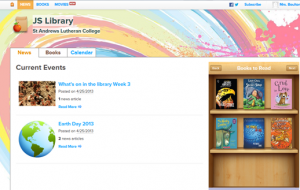 We have a class page (JS Library) where I am adding reviews, recommendations and articles for SALC students. See Mrs Boulton if you would like to join this community. A great way to share resources – use a list.ly list. This one is for ipad recommendations. Kathy Schrock is a well respected educator who is constantly producing fantastic resources for teachers to use in their classrooms. 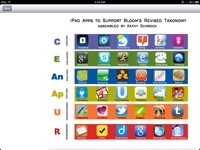 Check out these resources to use with the iPads (and android). These are based on Bloom’s Taxonomy. Consider the story of Cinderella. 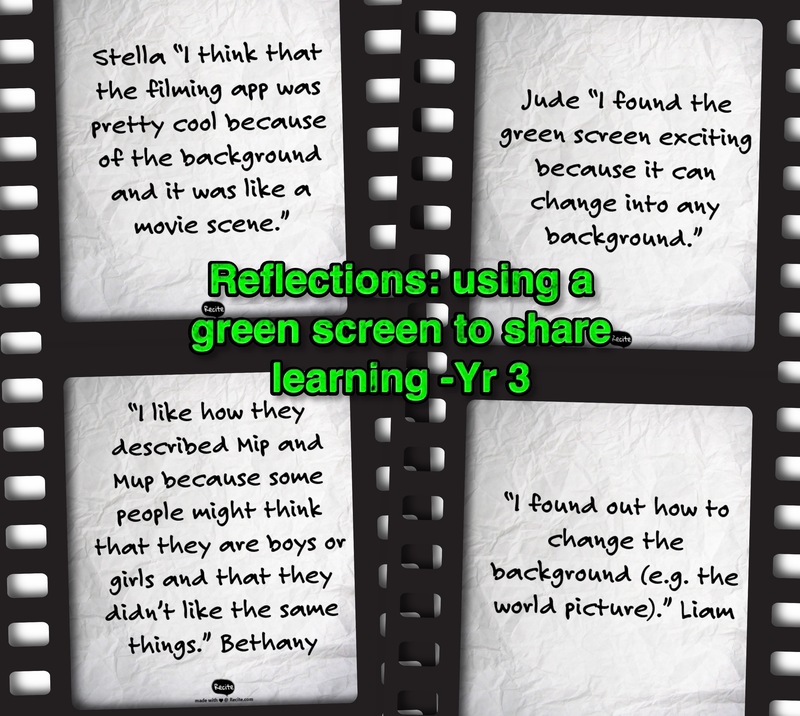 Add some interactive-ness, then put on DeBono’s thinking hats and you will have a recipe for expressing ourselves from the perspective of Year 1. This is the interactive version the story of Cinderella we used to set the scene. 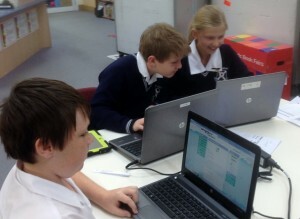 These are some shots of us working, thinking and collaborating. 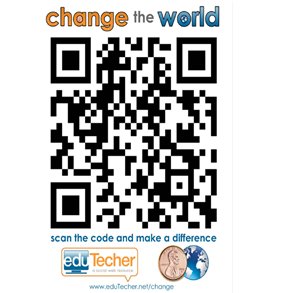 Click on the link to view the poster – change_the_world. All you need to do is ‘click on the penny and one penny will be donated by edutecher. Watch the video to see how this works in reality.